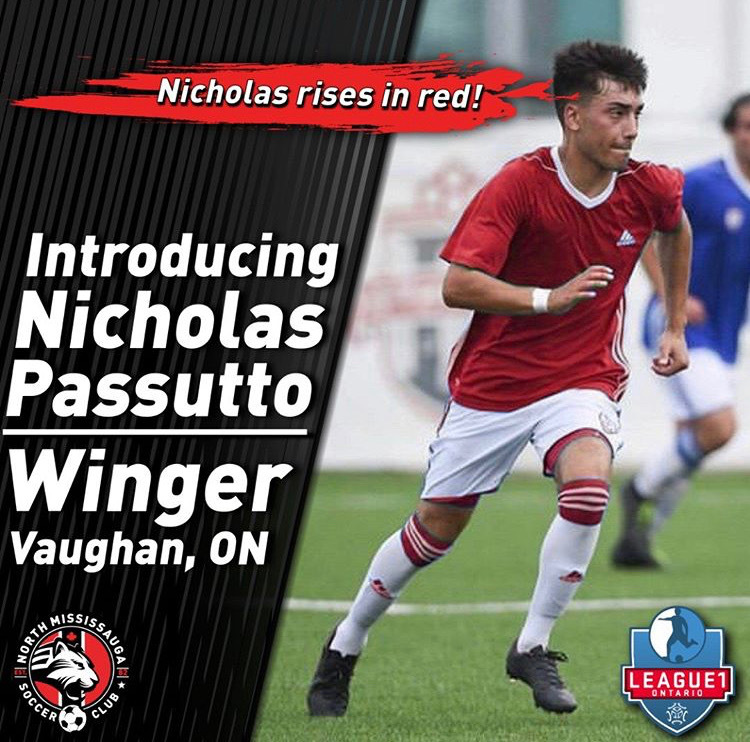 News League1 Ontario Men’s Signing, Nicholas Passutto! League1 Ontario Men’s Signing, Nicholas Passutto! North Mississauga Soccer Club and League1 Ontario are proud to announce the signing of Nicholas Passutto! Nicholas is very fast when on offense and bold in his approach, running into open space and taking defenders head on. He is able to manipulate the game to his pace by forcing openings and causing havoc whenever he is on the pitch, making him a serious threat on the field. We cannot wait for Nicholas to start playing this season!